The Grand Chateau is a gorgeous western contemporary townhome that provides a unique Jackson Hole experience; you'll encounter forested living with all the amenities of the city at your doorstep. Offering beautiful views of the Teton Mountain Range and overlooking the town of Jackson, the Grand Chateau has one of the best views in Jackson. Just seven blocks from the town square, on the border of the Bridger-Teton National Forest, the townhome gives you the best of both worlds. 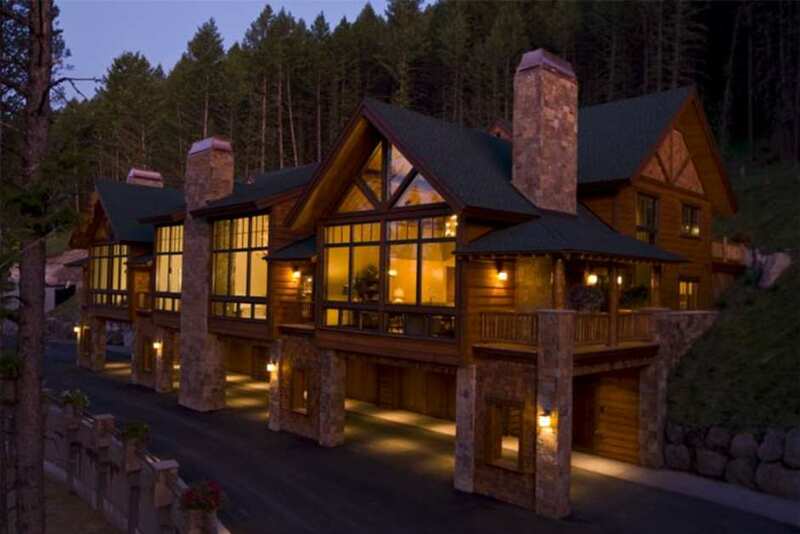 From the unique drive thru tunnel access located under the slopes of Snow King Mountain Resort, to a night at the at the center for the arts, or a fabulous meal at a five-star neighborhood restaurant, you are staying literally seconds away from the best Jackson Hole has to offer. This ski-in, ski-out luxury townhome offers the best location for both weekend trips and long-term getaways. While staying at our Grand Chateau you will enjoy full access to our luxurious Club facility, offering 24-hour fitness center, yoga instruction, massage therapy, and both breakfast and dinner services. Our friendly staff will greet you at the Club to ensure that you arrive at the property with ease and comfort.